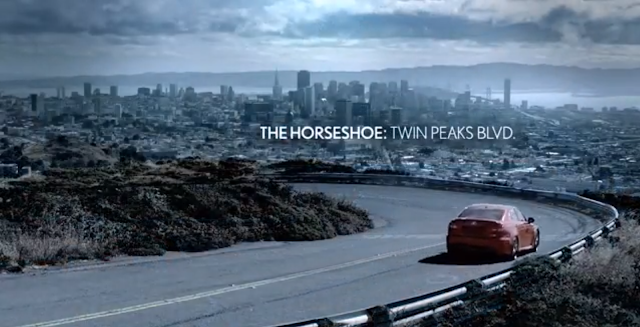 What: The famous hairpin bend known as "The Horseshoe" on Twin Peaks Blvd heading north to Tank Hill and Cole Valley. Comment: Rarely have I ever walked this far along the viewpoint on Twin Peaks. Glad I did to catch this view which has a great angle on the hairpin turn that's featured in many tv commercials, especially car commercials. A 2012 Lexus IS commercial even calls out this curve among the many great curves of the world. 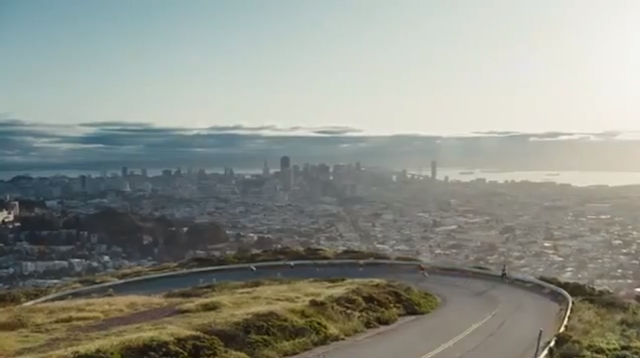 An AT&T/HTC phone ad features a guy running up "The Horseshoe" on his jog. Not sure how he got from there to Rio Vista.